Close-coupled “mill duty” squaring guides and flattener with back-up rolls are pictured above on a 2,790 mm (110”) Abbey slitting line. The flattener uses accurate position feedback devices so that repeatable setups can be obtained. 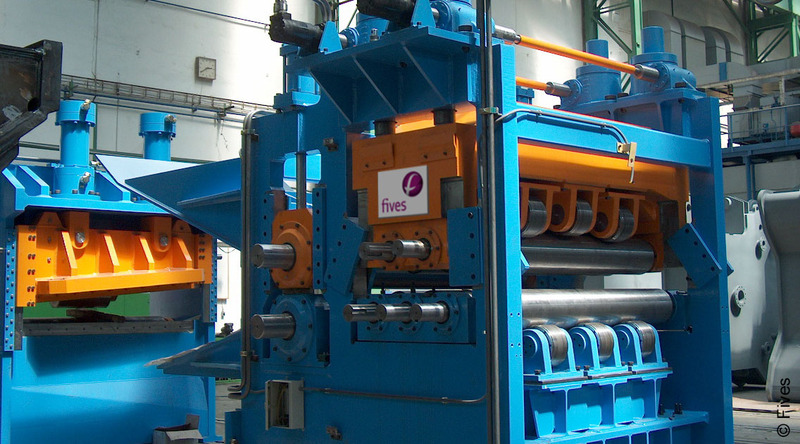 This slitter has dual “half-head” style slitting heads, and scrap choppers.